rule changes in general. With January looming, however, generalities are quickly giving way to specifics for individual livestock producers. 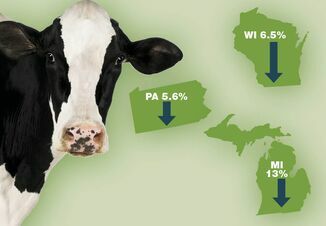 Among some producers and veterinarians, a recent sentiment has been that the VFD rules are "changing," leading to confusion. In reality, the VFD rules have not "changed" at all since becoming final. The rules as published, however, aren't heavy on details. When different people interpret these details on the basis of a specific farm's needs, different answers to the same questions can emerge, unfortunately creating more uncertainty. Better understanding of how label directions and the VFD fit into on-farm use. Instructions outlined on the VFD and the use of the feed on-farm have to match exactly the antibiotic's labeled instructions. If instructions state a medication is to be fed for 5 days, that's what will go on the VFD. If another 5-day course is needed later on, another VFD will need to be issued. Realization among producers that extra-label uses will not be possible. 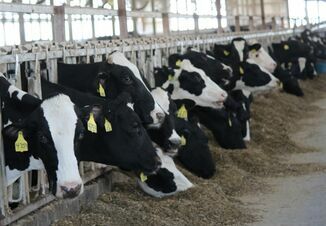 Veterinarians are unable to list off-label reasons for medicated feed use (e.g., beef cattle uses for pinkeye, foot rot, and abortion control) on the VFD. Producers - with their veterinarian's advice - need to plan for addressing these health issues without the use of feed-grade antibiotics. Veterinarians establishing how they'll supply - and charge for - VFDs. Many veterinarians are signing up for electronic services that will streamline the VFD process in their practices. 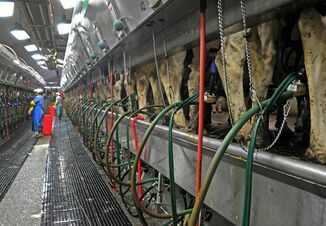 The cost paid by veterinarians for these services will need to be passed to the producer. Even veterinarians utilizing hard copy forms will need to recover their time and clerical costs from producers utilizing VFD's. VFD's are "authorizations" to use the medicated feed in the manner outlined on the form. They are good until the expiration date noted on the form. Once the expiration date hits, a new VFD will need to be issued for subsequent uses on the farm - even if medication is left over. It's possible that one VFD could cover several feed deliveries if necessary and accounted for with the number of animals and medication amount. The roles of distributors and custom feeders. On-farm feed mills that sell medicated VFD feeds to other entities will need to register with FDA as distributors. For custom feeders, VFD requirements depend upon who has the relationship with the veterinarian. Custom beef feedlots that care for cattle from many owners will typically require only one VFD, issued to the feedlot. For contract swine feeding operations, the VFD will be issued to whomever has the relationship with the veterinarian - sometimes that will be the owner of the pigs, sometimes the owner of the barn. The bottom line for livestock producers in this time of change is to trust the information you get from your veterinarian and feed distributors. While obtaining a VFD may be an adjustment for an individual livestock operator, veterinary clinics and feed distributors will be serving dozens - possibly hundreds - of similar operations: their protocols will become smoother and smoother as January 1 passes. Producers need to have had a conversation about their specific farm's needs with these individuals before their first VFD is needed, in order to avoid any unwanted hiccups that might jeopardize their animals' health.